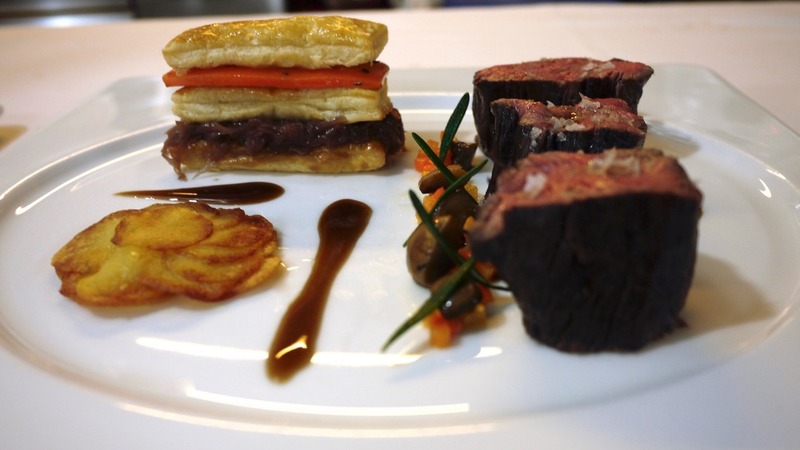 Good France – Goût de France – it means more than 2,000 chefs all over the world, on 5 continents celebrating the French Cuisine and serving their exclusively created menus. 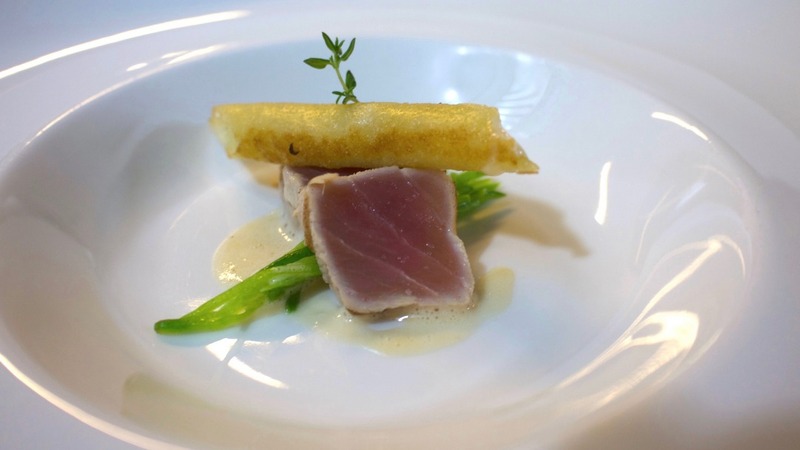 Originally initiated 1912 by the famous French chef Auguste Escoffier, “les Dîners d’Épicure” aimed to serve the same menu on the same day in different cities to associate all kinds of restaurants in every corner of the world. 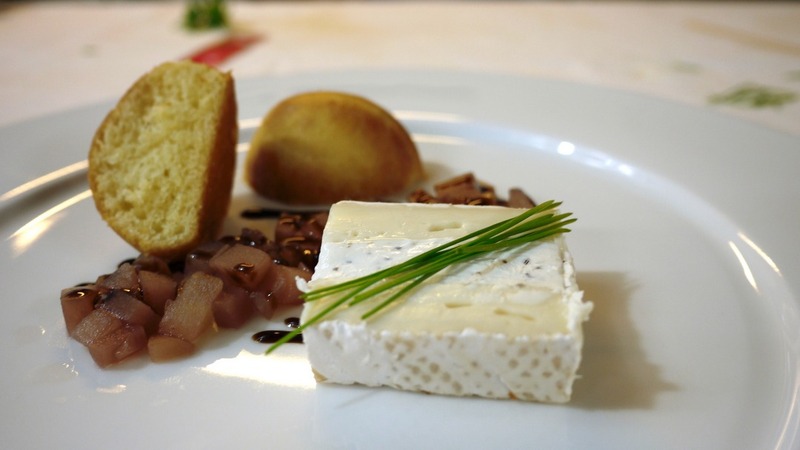 The world famous chef Alain Ducasse reestablished this idea and presented the event of Good France – Goût de France this year for the 3rd time in a row. Of course our prestigious MI CORAZON Restaurant, led by our award-winning executive chef Florian Strahlheim, was taking part and sponsoring this amazing occasion. 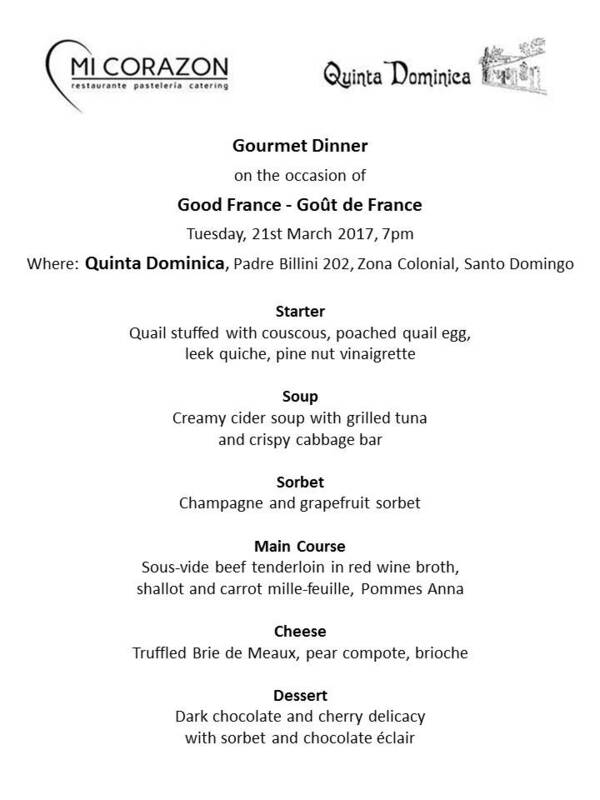 Right in time for the start of spring, the Dominican Republic as well paid tribute to the French Cuisine. 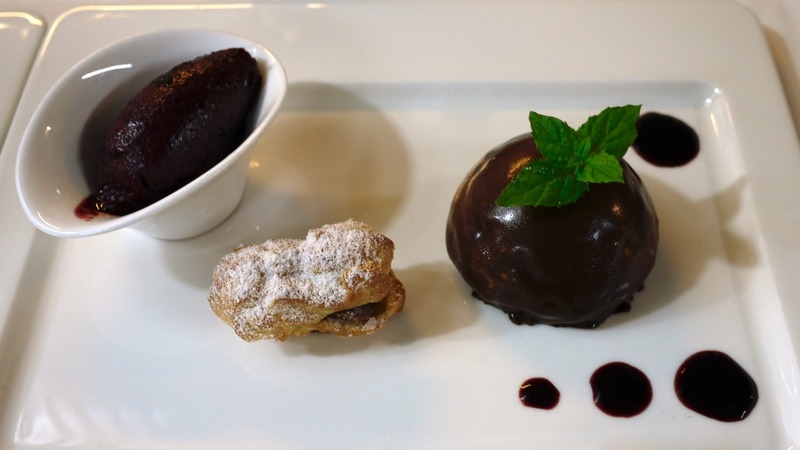 MI CORAZON teamed up with the antique location of Quinta Dominica in the Zona Colonial of Santo Domingo, to celebrate and serve their phenomenal menu creation in style. The Quinta Dominica is one of the oldest buildings on the American continent and is today being used as an art gallery with an amazing courtyard. During the day, we got the chance to introduce our menu amongst other chefs on national TV. Our MI CORAZON Restaurant has been ranked among the 3 best restaurants on the island on TripAdvisor for many years. If you are looking for an outstanding dining experience during your vacation in the Dominican Republic, this will be your perfect place. 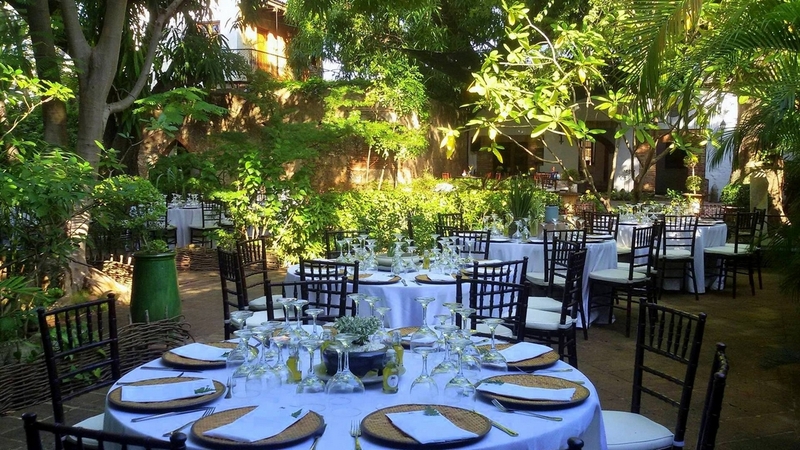 If you are planning an event or a destination wedding in the Dominican Republic in a historic setting, the Quinta Dominica in the Zona Colonial of Santo Domingo might be your perfect venue. 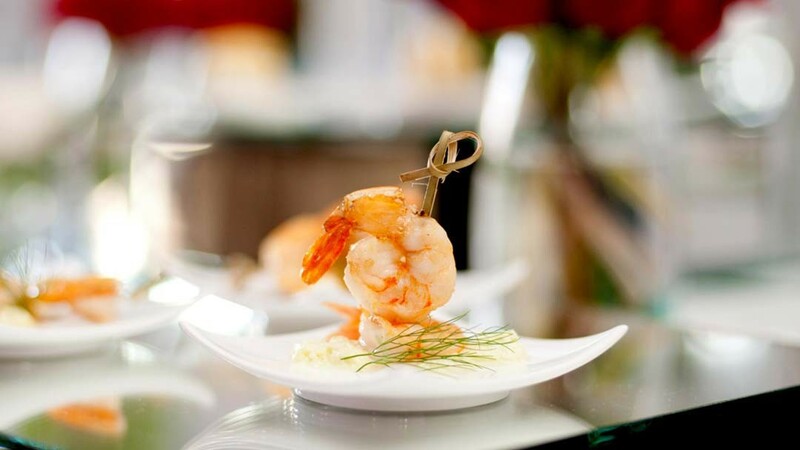 Our professional event- and wedding planners will create a special atmosphere and our MI CORAZON Catering will delight your guests with their gourmet food. Contact us for more information. 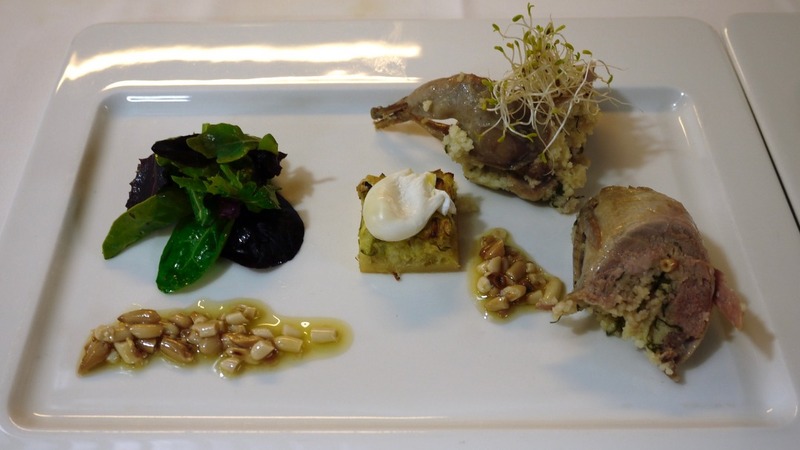 Do you want to enjoy an outstanding dining experience? Are you planning your destination wedding in the Dominican Republic? Ask us for more information!